de Givry, Emile Grillot. Witchcraft, Magic and Alchemy. 1931. Reprint, New York: Dover Publications, 1971. Martello, Dr. Leo Louis (1931-2000) American witch, hypnotist, graphologist and activist for civil and gay rights. Leo Louis Martello became a prominent figure in the new Witchcraft of the 1960s until his retirement in the 1990s. Martello was a colorful figure, known for his humor. He kept a boa constrictor beneath his bed. Martello, who claimed a Sicilian witch heritage, was born in Dudley, Massachusetts, the son of a Sicilian immigrant who owned a farm. He was raised in Worcester and Southbridge. Baptized a Catholic, he was packed off to Catholic boarding school for six years, which he later said were the worst years of his life. 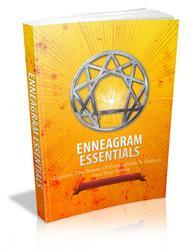 He had psychic experiences early in life and in his teens began studying palmistry and the tarot with a Gypsy. By age 16, he was making radio appearances giving handwriting analyses and selling articles. Martello was educated at Assumption College in Worcester, Massachusetts, and Hunter College and the Institute for Psychotherapy, both in New York City. After moving to New York at age 18 he learned about his ancestral heritage from cousins who said they had been watching him for years for his potential in the Old Religion. He bore a striking resemblance to his paternal grandmother, Maria Concetta, who was renowned in her hometown of Enna, Sicily, as the local strega, whom people sought for help when the Catholic Church failed them. She was reputed to be a jettatore, one who has the ability to cast the EVIL EYE. She was said to have cursed a mafiosi to his death by heart attack after he beat up her husband and threatened him unless he paid monthly protection money. Secretly, Concetta was a high priestess of the Goddess of the Sikels, who were the founding inhabitants of Sicily. On September 26, 1951, Martello was initiated into his cousins' secret Sicilian coven and became a mago, a male Witch. The initiation involved a blood oath to keep the secrets of the coven and its members. In 1955 Martello was awarded a doctor of divinity degree by the National Congress of Spiritual Consultants. He became an ordained minister (Spiritual Independents, nonsectarian) and served as pastor of the Temple of Spiritual Guidance from 1955-60. He left that position to pursue his interests in Witchcraft, parapsychology, psychology and philosophy and no longer accepted the theology of the National Congress of Spiritual Consultants. He also did work in hypnographology, the study of handwriting obtained under hypnotic age regression and worked professionally as a graphologist, analyzing handwriting for business clients. He was founder and director of the American Hypnotism Academy in New York from 1950 to 1954 and treasurer of the American Graphologi-cal Society from 1955 to 1957. From 1964 to 1965 he lived in Tangier, Morocco, where he studied oriental Witchcraft. In 1969 shortly before publication of his first book on Witchcraft, Weird Ways of Witchcraft, Martello, with the permission of his coven, decided to go public as a witch, in order to promote the truth about Witchcraft. Subsequently, he contacted and was initiated into the Gardnerian, Alexandrian and traditionalist traditions. He was the first public witch to champion the establishment of legally incorporated, tax-exempt Wiccan churches, paid legal holidays for Witches and Wiccan civil rights activities and demonstrations. In 1969, Martello played a leading role in the first demonstration of the Gay Liberation Front, held against the Village Voice. To further these goals, Martello founded the Witches Liberation Movement and the Witches International Craft Association (WICA). In 1970, he launched publication of the WICA Newsletter and Witchcraft Digest, which had a circulation of about 3,500 by the mid-1980s. 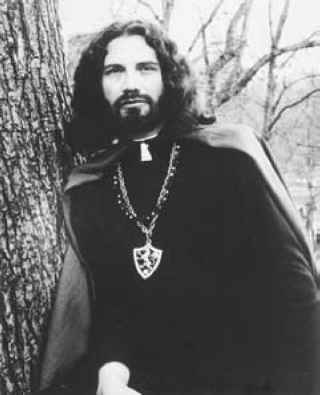 Colorful and outspoken, Martello received much publicity in 1970 for his organization of a Witch-In in Central Park on Samhain (All Hallow's Eve). The city parks department at first refused to issue a permit for the Witch-In but relented after Martello secured the aid of the New York Civil Liberties Union and threatened to file a suit for discrimination against a minority religion. The Witch-In, attended by about 1,000 people, was filmed and made into a documentary. Martello then formed the Witches Anti-Defamation League (later renamed the Witches Anti-Discrimination Lobby), dedicated to ensuring Witches' religious rights. By the late 1980s, chapters of the league were established in every state in the United States. He drafted a Witch Manifesto, which called for a National Witches Day Parade; the moral condemnation of the Catholic Church for its torture and murder of Witches during the Inquisition; a $500 million suit against the church for damages and reparations to the descendants of victims to be paid by the Vatican (see Inquisition); and a $100 million suit against Salem, Massachusetts, for damages in the 1692 trials (see SALEM WITCHES). He foresaw that the Civil Rights Act of 1964 would enable the establishment of Witchcraft temples and churches. Martello earned his living primarily as a writer, graphologist and lecturer. He made numerous public appearances to educate others about the Craft and to speak at major Pagan/Wiccan festivals and gatherings. He compared the Craft to an underground spring which has existed for centuries and predates the Judeo-Christian and Muslim faiths and occasionally rises to the surface in small streams and lakes. The modern Craft movement reflects a worldwide rising of this underground spring, coming with such force that it cannot be dammed by enemies. The spiritual force behind the renaissance is comprised of the reincarnated souls of those murdered as Witches by the Inquisition. Martello defined a witch as a wise practitioner of the Craft, a Nature worshipper and a person who is in control of his or her life. He was of the opinion that too many people enter the Craft with hang-ups from their Judeo-Christian upbringing, and that there is too much emphasis on personalities in the broad neo-Pagan community. The Sicilian tradition teaches that a wrong must be rectified in this life and not left to karma in a future life. The Witch must not permit injustices. His own philosophy, as outlined in How to Prevent Psychic Blackmail (1966), was one of "Psychoselfism: sensible selfishness versus senseless self-sacrifice." 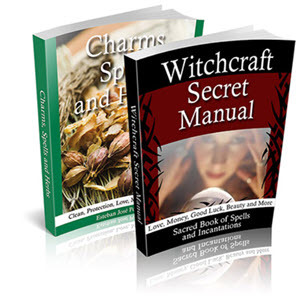 Martello's other books are Witchcraft: The Old Religion; Black Magic, Satanism and Voodoo; Understanding the Tarot; It's Written in the Cards; It's Written in the Stars; Curses in Verses; Witches' Liberation and Practical Guide to Witch Covens; Your Pen Personality; and The Hidden World of Hypnotism. He authored numerous articles. He was the first Witch in America to publish information about Sicilian Witchcraft. Martello was an elder of the Trinacrian Rose church and Grove in Somerville, Massachusetts. In the late 1990s, he retired from his public work. He died in June 2000, and his remains were cremated. Lori Bruno, an elder of Martello's tradition, was executrix of his estate.